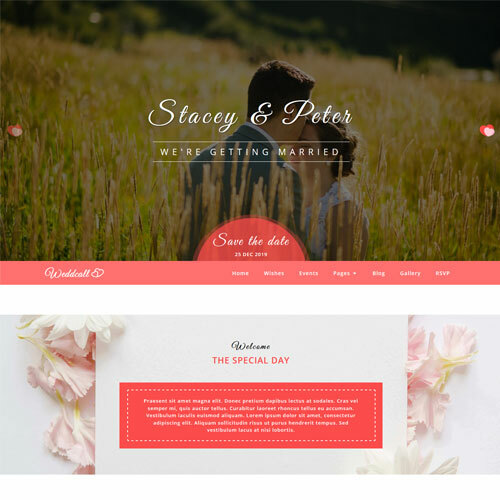 Weddcall is a wedding category website template. 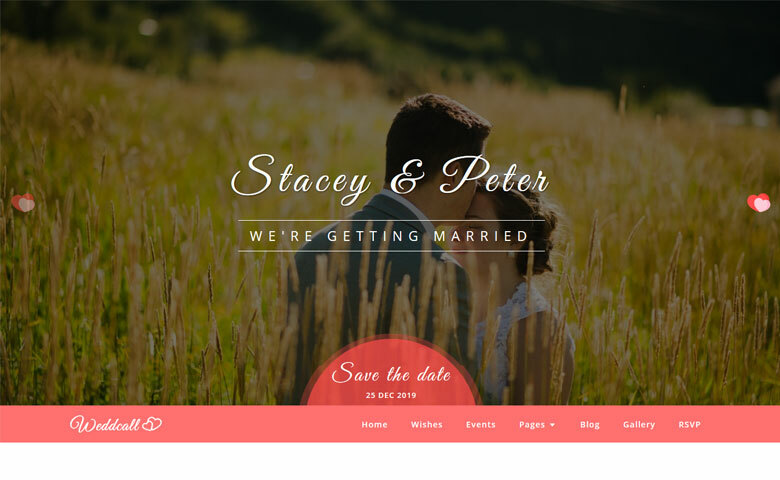 You can build your own wedding site with the help of this beautiful wedding web design template. 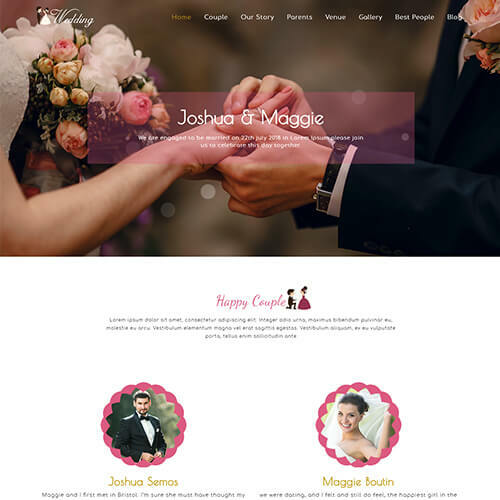 This creatively designed template is the best choice for websites like party schedule, story creation, wedding event, rsvp, wedding invitation, anniversaries, Wedding Agency, engagement, Bridesmaid and Groomsmen, celebration events, any kind of wedding activities, wedding photographer, florist, wedding planner, wedding ceremony, wedding flowers, wedding business, decorations, parties, meetings, conferences and much more. A color scheme of the template makes it looks much prettier. The template is entirely built using 1170 Grid System, CSS3, HTML5, jQuery. This wedding rsvp website template has pretty gorgeous features like full-width owl slider, eye-catching hover effects, countdown timer, gallery lightbox effect and much more to cherish for. It is designed with the multiple pages of wishes, events, groomsmen, bridesmaid, blog, image gallery, and RSVP page to make an online invitation. The template is 100% responsive and cross browser template so that it looks great on all the devices from mobile to desktop. Download and make it yours now! Please note that the images in the template will be blurred in the downloaded package.